All children should be sensibly dressed allowing for the many practical and messy activities that can take place in school. 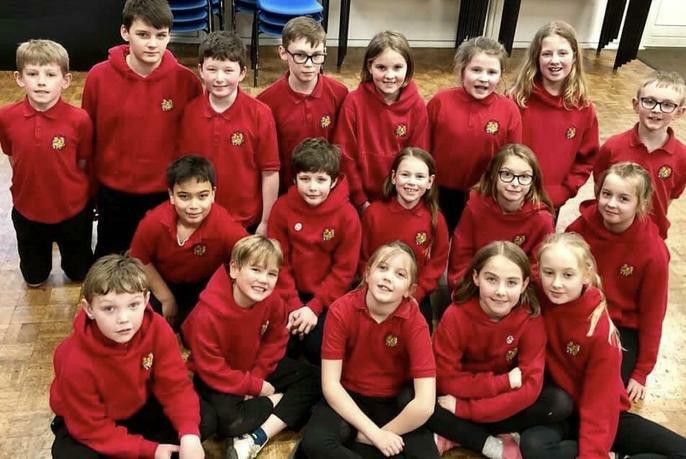 We have a school uniform and Friends of Long Marton School sell children's sweatshirts (£8 each), polo shirts (£7.50 each), Hoodies (£12) & Fleeces (£10.75). Sizes are 3-4, 5-6, 7-8, 9-10 and 11-12 years in children’s and XS, S, M, L and XL in adults. Ask at the School Office for further details. Black Shorts, white T-shirts and PE shoes are required for PE. For games, an extra top (tracksuit/sweatshirt) for colder weather is also required. We have a non gender policy for uniform. It is very helpful if all articles of clothing are named or clearly marked.